It might not feel like it at the moment, with the heavy rain and high winds we have been experiencing recently, but summer is almost here. As usual, in this country, our weather can be very unpredictable. Working in hot environments can affect us in lots of ways. It’s not only people working outside being exposed to direct sunlight that are affected but also people working in hot indoor environments i.e. kitchens, bakeries, foundries etc. ‘Heat stress’ occurs when the body’s means of controlling its internal temperature starts to fail. As well as air temperature, factors such as work rate, humidity and clothing worn while working may lead to heat stress. Therefore it may not be obvious to someone passing through the workplace that there is a risk of heat stress. The HSE uses the term ‘Thermal Comfort’ which describes a person’s state of mind in terms of whether they feel too hot or too cold. By managing thermal comfort employers are likely to improve morale and productivity as well as improving health and safety. People working in uncomfortably hot and cold environments are more likely to behave unsafely because their ability to make decisions and/or perform manual tasks deteriorates. The problem with this is a ‘reasonable’ temperature for a workplace depends on work activity and the environmental conditions of the workplace and individual personal preference. This makes it difficult to specify a thermal environment which satisfies everyone. Most employers should have policies in place in order to protect their employees from the effects of working in extreme thermal environments. Hot conditions are more easily controlled for people that work indoors with provision of ventilation, fans, air cooling cabinets, air conditioning, reflective film or blinds on the windows, even allowing clothes appropriate for hot weather. If people are complaining about the heat then common sense says it’s too hot and something needs to be done about it. The regulations also say that an adequate supply of wholesome drinking water shall be provided for everyone in the workplace. Dehydration occurs when you lose more fluid than you take in and your body doesn’t have enough water and other fluids to carry out its normal functions. If lost fluid remains un-replenished, you may suffer serious consequences. Excessive sweating combined with inadequate intake of water during hot weather or exercise may deplete your body’s water stores. Drink cool water (ideally at 15 °C) rather than tea, coffee or carbonated drinks frequently in small volumes to compensate for losses due to sweating. You should aim for a total daily water intake of around 2 litres/day (women) and 2.5 litres/day (men). This may be more on very hot days. Urine colour is a useful way of checking your hydration status in the workplace i.e. dark yellow, concentrated urine is a sign of dehydration. Employees who regularly work outside are not only at risk from dehydration but also from sunstroke, sunburn and heat exhaustion especially if heavy physical work is being carried out. Give awareness training and information about the risks of sun exposure and what measures can be taken. Check the UV index daily. Reduce exposure to sunlight when it is strongest. Ensure breaks are taken out of the sun. Keep covered up with clothing. Supply and encourage the use of sunscreen. Carry out regular health checks. Employees also need to report any problems or concerns to their employers. 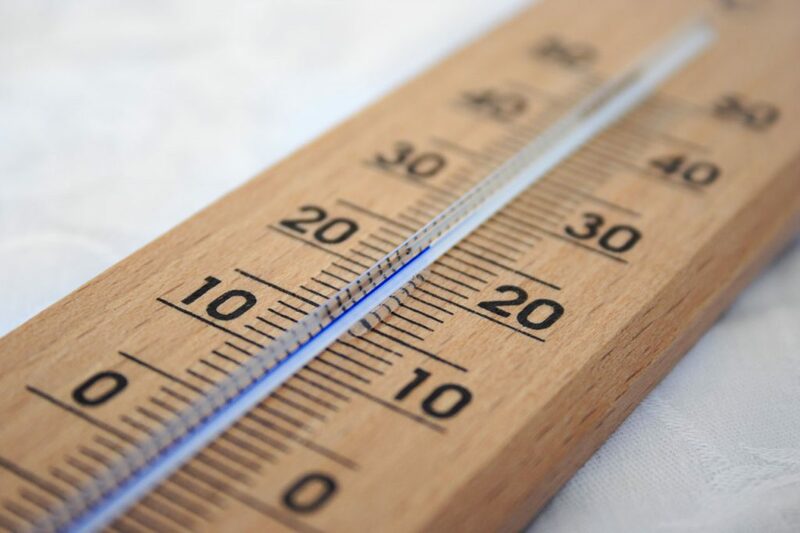 If employers take steps to ensure thermal comfort is monitored and controlled in their workplaces then this is likely to improve morale and productivity.